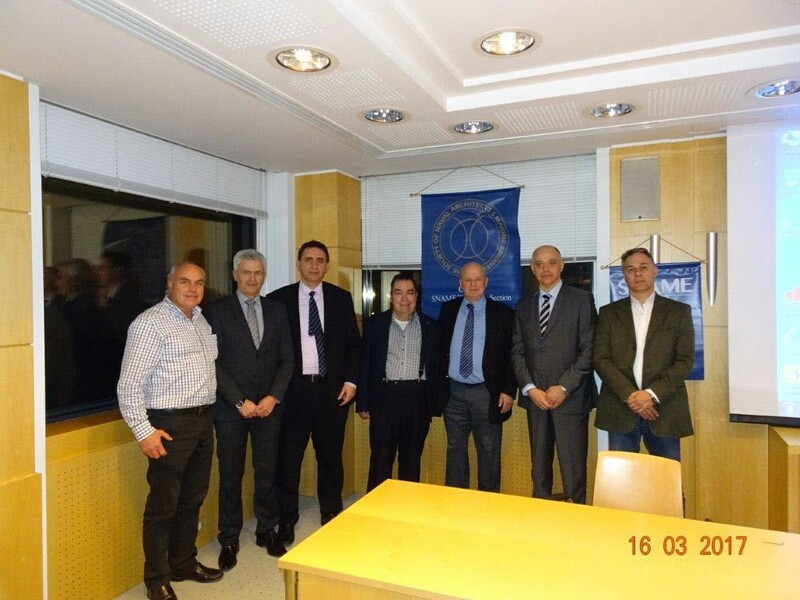 At the seventh Greek Section meeting for the 2016-2017season on March 16 a presentation that addressed how High Dimensional Maritime Data Collection and Analytics shapes the present and the future of shipping, through extensive utilization of the vast amount of maritime data that are produced onboard the vessels, transforming them into information intelligence was given by Vice Admiral Hellenic Navy, ret., George Christopoulos. Representing LAROS he presented its platform wireless technologies as a unique middleware among ships sensors, control systems and maritime companies in order to achieve complete situation awareness in operation, better control and regulatory compliance, predictive maintenance and cooperation between crew and Headquarters. VADM ret. Christopoulos also addressed the ability to manage all data and information from different systems onboard in a safe and efficient manner as a new level of possibility to analyze and monitor situations, critical operations, and adverse conditions and to increase performance awareness. In this respect he made reference to dimensions’ reduction for detailed and comprehensive performance monitoring, employing case studies with thorough analysis of high dimensional data. He also demonstrated the significant added-value when operational data is analyzed and integrated along with other key data. Likewise, he showing how high dimensional data in marine engineering brings new challenges for prognosis and forecasting. He ended his presentation by presenting a case study with high dimensional data analysis referred to “Asymmetric Container Ship Performance when encountered Heavy Weather”. A Q&A session succeeded the presentations, while during the post-meeting reception attendees had the chance to meet with representatives of all segments of maritime industry, discuss and share their ideas. The meeting was attended by twenty-six members including students and professionals and eleven non-members. The meeting was broadcast to SNAME members worldwide. Around ten members registered to attend it.